Age is not a limit. Never too old to ride. END POLIO RIDE is a charity ride to raise funds for the purpose of eradicating the polio virus from the face of the earth through The Rotary Foundation's PolioPlus fund and to create public awareness for the PolioPlus program and Rotary International's community programs. For more information, please visit www.rotary.org or www.endpolio.org. Total ride distance is 26KM on road at Sunway Iskandar and Medini. One cycling route but consist of both VIP and power sections. VIP section is about 9KM, suitable for kids & parents who seldom ride. Expected pace is around 15km/h. Whereas power section is around 17KM. Expected pace is around 22km/h. It is more suited for avid cyclist who has been cycle on a regular basis. Both groups will be flag off at the same time. This ride is fully sponsored and registration is made FREE online at link https://event.sor.my, limited to 400 riders however. For safety reason, age limit is been set at 10 years and above. Registered rider is entitle for amenities such as event t-shirt, finisher medal. and light refreshments after ride. We welcome walk-in rider (who didn’t register) but without amenity unless there is leftover. The ride is free but free-will donation is available at check-in counter for those who wish to contribute to End Polio Project. Any amount is welcome. However, if amount donated exceed RM10 you will have a chance to win lucky draw. 1. Riders must wear helmet. Strictly no helmet no ride. We take safety seriously. 2. Take care of your personal belongings that you may have with you and in no circumstances should you leave it unattended. The organisers will not be responsible for the loss, damage or theft of such personal property. 3 The organiser reserves the right to amend the rules, change or postpone the date or cancel the event if it is deemed needful without prior notice. 4. All decisions made by the organiser are deemed final. Any disputes regarding the decision will not be entertained. 5. Whilst reasonable precaution will be taken by organisers to ensure the riders’ safety, the rider takes part in SUNWAY ISKANDAR END POLIO RIDE 2019 is at his or her own risk. Organisers and their partners will not be responsible or held liable for any injury or death howsoever arising during participation in SUNWAY ISKANDAR END POLIO RIDE 2019. The rider is strongly encouraged to consult his or her medical practitioner prior to registration and before event day. 6. Rider must retire from the ride immediately if required to do so by any member of the organising committee, official medical staff, ride marshal and/or security officer. 7. Please obey marshal’s instruction and ride on the designated cycling route as per arranged by the organisers and follow the road/ traffic rules. 8. In the event the conditions beyond organisers’s control during SUNWAY ISKANDAR END POLIO RIDE 2019 no longer permit the event to continue (including but not limited to health and safety concerns arising from weather or haze), organisers reserves all right to cancel the SUNWAY ISKANDAR END POLIO RIDE 2019 immediately at its sole discretion. 9. Riders will be responsible for providing own personal bicycle, helmet and spare tube. 10. Riders must wear event shirt provided by the organiser during SUNWAY ISKANDAR END POLIO RIDE 2019. Riders not wearing event shirt will be taken off the route by security officers or ride marshals. 11. Only bicycle with brakes system is allowed in this ride. Pets, in-line skates, prams, push carts, shoes with built-in or attached rollers and any other wheel-run objects are not allowed on the route. 12. The organiser reserves the right to shorten or alter the published route at any time. 13. 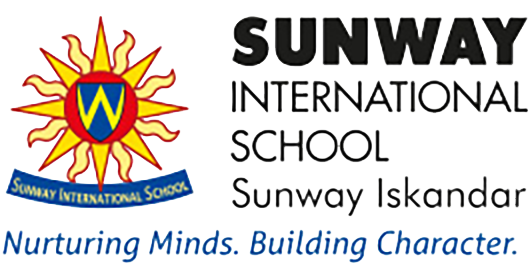 The organiser reserves the right to use any photographs, recordings, or any other media records (including those displaying the rider) of the SUNWAY ISKANDAR END POLIO RIDE 2019, for any legitimate purpose. 14. Riders grant organisers, by entering this SUNWAY ISKANDAR END POLIO RIDE 2019, worldwide non-exclusive, royalty-free, sub-licensable right and license to - with respect to the riders’ image, voice, performance, or likeness - use, publish, reproduce, display, perform, adapt, modify, create derivative works, distribute, have distributed, print, promote SUNWAY ISKANDAR END POLIO RIDE 2019, organisers and/or the rider, in whole or in part, in any form now or hereafter known including but not limited to photographs, motion pictures or recordings, anywhere in the world for any purpose including that related to SUNWAY ISKANDAR END POLIO RIDE 2019, the publication in organisers promotional digital and/or printed materials and formats broadcast including but not limited to on organisers magazines, printed leaflet and brochures, organisers website and/or through other public online feeds, promoting subsequent events and/or the work of organisers generally. 15. Riders hereby hold, jointly and severally, harmless, release, indemnify and discharge organisers, its partners, affiliates, subsidiaries, advertising agencies, agents and their directors, employees, officers and representatives from all liability, claims, judgments, demands, controversies, agreements, damages, actions and causes of action whatsoever, arising out of or related in any way to SUNWAY ISKANDAR END POLIO RIDE 2019 or the conduct of SUNWAY ISKANDAR END POLIO RIDE 2019, whether in law or in equity, no matter what the cause or nature, and riders further waives any claims that may state or assert against organisers in association with SUNWAY ISKANDAR END POLIO RIDE 2019 or any of its associated activities, or in any way related to or resulting from SUNWAY ISKANDAR END POLIO RIDE 2019 even if such injury or claims results from or is caused by the negligence or gross negligence of organisers, in whole or in part. Riders further agrees to indemnify and hold harmless organisers from any claim arising out of the participation in SUNWAY ISKANDAR END POLIO RIDE 2019 including, without limitation, all claims brought or asserted by any third party as a result of any injury or loss that the riders or they may sustain in any way associated with the participation in SUNWAY ISKANDAR END POLIO RIDE 2019. 16. Organizers will not be held liable in the event of loss, personal injury or death as a result of participation in this ride.